Lee, Sang Hoon. 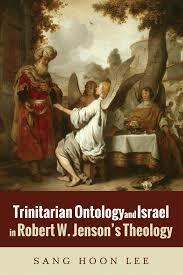 Trinitarian Ontology and Israel in Robert W. Jenson’s Theology. Eugene, OR: Pickwick Publications, 2016, pp. 196, $25, paperback. With articles forthcoming in a number of respected journals, Sang Hoon Lee is currently one of the pastors at Raynes Park Korean Church in London, England. The present monograph is a revised version of his doctoral thesis at the University of Aberdeen. In it, Lee clarifies a commonly misunderstood, if not neglected, aspect of Robert Jenson’s (1930-2017) later thought. Namely, the (often implicit) way in which the later Jenson holds onto his “trinitarian (onto-)theology” while developing, as a result of the former, a post-supersessionistic account of Judaism—two inextricable emphases that interpreters of Jenson have found difficulty in properly acknowledging and/or holding together (p. 1; whereas supersessionism is the long-held notion that God’s mosaic covenant with Israel has been superseded by the new covenant associated with the coming of Christ, so that the Christian church effectively supersedes Israel as the people of God, post-supersessionism—synonymous with non-supersessionism—is the belief that God’s original covenant with Israel continues on even in the church age for it was irrevocable). Lee thus writes to “make explicit the crucial links” (p. 1) within the corpus of one of the most influential Protestant theologians of our time. In addition, Lee’s examination of Jenson’s post-supersessionism brings fresh insight into the ongoing debates concerning the relationship between Israel and the church, which have continual importance both theologically and politically. What is most distinctive about Lee’s study is the way in which he explores the influence of Jewish theologian, Michael Wyschogrod, on the development of Jenson’s post-supersessionism (p. 9). Along such lines, in chapter one, Lee recounts the early Jenson’s temporalistic revising of Barth’s actualistic ontology as being the basis upon which Jenson’s later post-supersessionism finds its ontological motivation (pp. 13-32). Because election for Jenson is dependent upon the “horizon of time” (e.g., Jenson saw the event of Christ’s resurrection as electively being constitutive of God’s trinitarian being), the election of Israel was determinative of God’s eternal being as well (p. 32). Such a move by Jenson placed a temporal spin upon Barth’s actualistic ontology, which Lee describes in this manner: “God is the event of (the enactment of) his decision…. God’s triune being is his action.” (p. 18). Following from this, chapter two describes Jenson’s understanding of Christ’s body as having been “placed in the eternal being of God,” thus leading to an eternal “bodily” understanding of God that is eucharistically, ecclesially, and soteriologically accommodative (pp. 10, 33-58, 174). These emphases find consonance with Wyshogrod’s proposals, as outlined in chapter three (pp. 59-88). A sympathetic reader of Barth, Wyshogrod’s emphasis upon God’s irrevocable “covenant relationship to the bodily existence of the people of Israel” results from his engagement with Christian perspectives on the incarnation and the Torah, and leads Wyshogrod to see Jewish identity as being a “‘diluted incarnation’ of God’s presence by election” (pp. 61-62, 79). Amidst this, Lee highlights Wyshogrod’s “mutual acknowledgment of the other community’s distinctive role in God’s one redemptive history” (p. 62). Jenson’s affirming appropriation of Wyshogrod then forms the content of chapter four, which concludes that it is only in the church’s anticipated union with Israel in the eschaton that the two, together, can be considered the people of God and body of Christ (pp. 89-118). Chapter five continues upon this post-supersessionist theme with respect to Jenson’s hermeneutical ontology and its parallel stress upon Torah as both narrative and law (pp. 119-145). Finally, in chapter six, Lee surveys Jenson’s eschatological ontology and its associated pneumatology, for it is the Spirit who is at work to eschatologically bring together Jews and gentiles under their one rightful head, Jesus Christ (p. 175, 146-172). Lee’s argument, structured chiastically in a way that lays stress upon middle chapters three and four (on Wyshogrod and Jenson’s response to Wyshogrod, respectively), is on point and, as such, is enthusiastically endorsed by Jenson himself, who writes that Lee “succeeds handsomely” (back cover). In this regard, Lee’s demystifying work on the question of how Jenson’s trinitarian ontology is related to his post-supersessionism can rightly be considered an original as well as much needed contribution to the field of Jenson studies. That said, because Lee explicitly seeks to read Jenson more charitably than earlier commentators (p. 9), critical engagement within Lee’s work has more to do with ensuring that Jenson is properly interpreted than it does with offering Lee’s own critical evaluation of Jenson’s thought (e.g., p. 176). Lee effectively demonstrates that Jenson’s post-supersessionist proposal finds its roots not only in the early Jenson’s temporal actualistic ontology and corporeal theology, but most especially in his later engagement with Jewish thinkers like Wyshogrod (p. 61). That is, a “transposing [of] Wyshogrod’s thought into Christian ecumenical rubrics” takes place in a way that “Jenson maintains that the church is the people of God, the body of Christ, and the temple of the Holy Spirit, only in its anticipated union with the Jewish people which will occur beyond this age” (p. 89). The implication of all of this is that the church cannot in actuality be the church without Israel, even if its union with Israel is more of an eschatological rather than a present reality. Supersessionism for Jenson is thus wholly at odds with the very essence of the Christian faith. On this point, Lee’s compelling description of Jenson is worthy of constructive consideration if one grants, as I do, that Jenson’s post-supersessionist account of Judaism can in fact be seen as being more consonant with the overall New Testament witness regarding its prescribed relationship between Jews and gentiles in Christ than its supersessionist alternatives (e.g., it would not be difficult to coherently tease out a Jensonian post-supersessionistic reading of Rom. 9-11, Eph. 2:11-3:13; cf. pp. 95-99). If so, then Lee is right to suggest that “Jenson’s theology of Judaism offers a non-supersessionistic understanding of [the] God of Israel in trinitarian terms and of Christian self-identity, without compromising the Christian faith about the messiahship and deity of Jesus” (p. 90). Even so, a stumbling block for many will continue to be the untraditional Jenson’s seemingly panentheistic temporal actualistic ontology through which God, by the event of the incarnate Christ’s resurrection, is said to not only have a body, but to also ontologically embody Israel and the church by way of their bodily theosis in the risen Christ’s body (pp. 90-93). Questions also will arise as to whether the implications of Jenson’s specific understanding of Israel’s irrevocable election, which features his view that Judaism and the church are seen as “two paralleling detours to the Kingdom of God,” with Israel as being the original route around which the church can only eschatologically find its place, is too idealistic to be truly applicable in the real world (pp. 102-104, 117-118). On a different note, Lee’s study warrants comparative studies between Jenson’s post-supersessionist view of Judaism and dispensationalist views of the same. Jenson’s recent passing in September 2017 should bring about a welcome renewed interest in his life and thought. In this regard, advanced students of biblical and theological studies will find Lee’s book to be an accessible introduction to Jenson and to certain themes and aspects of modern Protestant theology. More than that, Lee’s explicit reconstruction of Jenson’s post-supersessionist argument provides a formidable foray into an important and consequential question that, if Jenson is correct, lies at the very heart of the gospel.